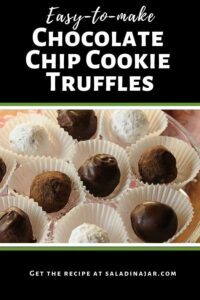 Leftover chocolate chip cookies are the basis for these easy but hard-to-resist Chocolate Chip Cookie Truffles. 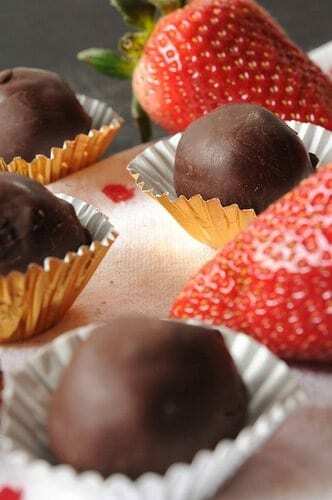 Dip them in chocolate or roll them in powdered sugar to make a perfect Valentine’s Day present. Are you a candy maker? Seems to me that some people are….and some people are not. I am not a candy maker, although my mom was. In her heyday, she could make perfect fudge, peanut brittle, toffee, caramel, divinity–all of it. Obviously, I did not get her candy gene. Hand me a pan and a thermometer and I want to make yogurt, not candy. If you’re like me, we can make these. They are so easy, even your kids can make them. No thermometer or cooking required. 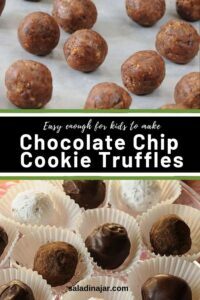 They are a great way to recycle leftover chocolate chip cookies. Wouldn’t these make a great little present for a special person on Valentine’s Day? Unfortunately, I will not be giving any of these away since my husband and I have managed to eat every last one of them. I know. Shameful! Crush cookies. You can put them in a zippered plastic bag and flatten with a rolling pin. 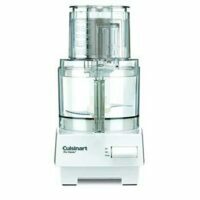 It's easier to use a food processor and process until mixture resembles coarse meal. Add cream cheese and process or mix until mixture holds together. Expect the mixture to be dark in color. 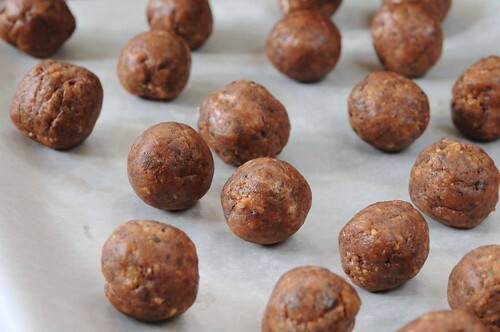 If you have them, put on plastic gloves and form cookie mixture into 1-inch balls. I like to use a small ice cream dipper to get uniformity. Place on a cookie sheet covered with wax paper or a silicone baking sheet. Refrigerate. Place chips and shortening into microwave-safe bowl and microwave for 1 minute, stirring to melt. Add time in very small increments to finish melting if necessary. 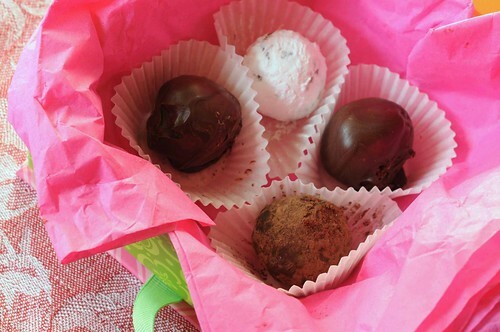 Dip balls into melted chocolate with fork until completely covered. 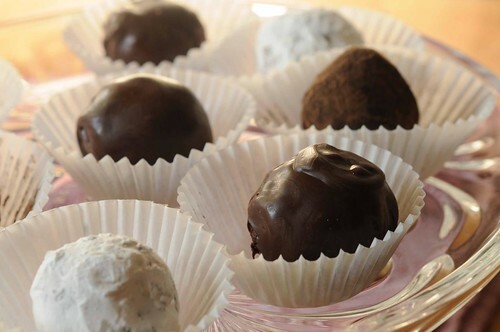 Return balls to wax paper or silicone baking sheet and chill until chocolate is hard. If you don't want to mess with the dipping, try rolling the balls in powdered sugar or cocoa. I had a ton of left over chocolate chip cookies. No idea how to measure 1 pound, so I just threw a bunch of cookies in the processor, added cream cheese and shortening, cinnamon, and vanilla. Dipped in chocolate. Oh my! I think these are better than the original cookies!! “Leftover” chocolate chip cookies??? Would I find that on the store shelf next to the “leftover” wine? Such things don’t exist in my house! Tee hee! Seriously – I’ll have to try these. They look delish and easy. Thank you so much for this awesome idea- no waste and looks amazing!! Ooh, yum! I was thinking they were going to be raw cookie dough, the crushed cookies is an awesome idea! I’ve seen Oreo truffles, but I really like the idea of using homemade chocolate chip cookies. I think these would really impress people and they’d have no idea how easy they are to make! I have a friend who makes these with crushed Oreo cookies. These look like a delicious variation. Yum! Boo! Hoo! You did not save one for your exercise friend?? Surgical gloves do help with sticky foods, I can attest to that!! Thanks for the shout out. I am in Austin checking your blog on my phone. This is a great idea for a cooking activity in kindergarten. They would get so excited about making these for their moms. 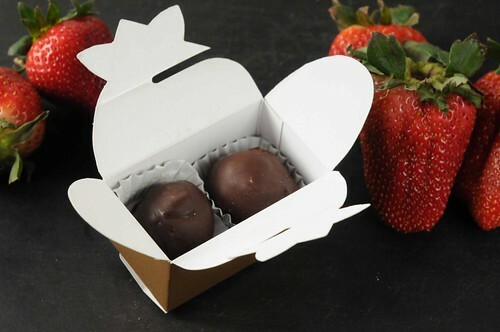 Definitely a perfect treat for Valentines Day they look scrumptious. Yummmmm. 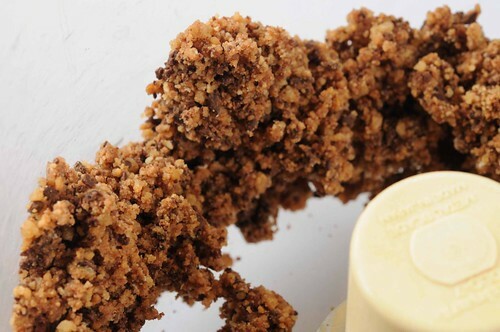 Only one hitch – how do you manage to have leftover chocolate chip cookie crumbs??? LOL I guess I’ll have to stash some away from the next batch. Gina, Leave it to a PA student to ask a question like that. 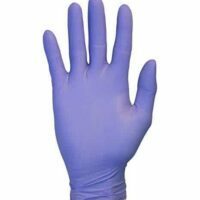 🙂 Basic medical gloves–or actually any plastic gloves. Anything to protect the dough from body heat and cooties. Protecting hands from the sticky dough is a good idea too. Great idea – these look really good. Surgical gloves? Are you talking about the real deal sterile gloves or just basic medical gloves? I love making candy. Not only are these beautiful, but quick and easy to make. 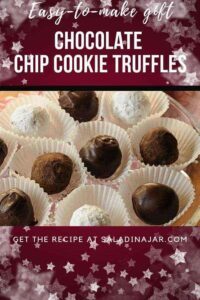 I guess I wil have to hide some chocolate chip cookies from the other Mimi’s in order to make these. Oh my! These look so good and easy! Our body cleanse ends on Sunday so I’m definitely going to try and make some of these for my hubby by Monday–especially since he loves Chocolate Chip Cookies!